Join an intimate group of women for an afternoon of creative nourishment & inspiration. As we rush from one activity to the next, we can feel like we have no control over our lives, easily losing sight of what matters most to us. Instead of putting out one fire after another; connect with your own inner fire to create the live you want to live. What does matters most to you? Recognize your big picture, feel supported, gain clarity and emerge with newfound energy. 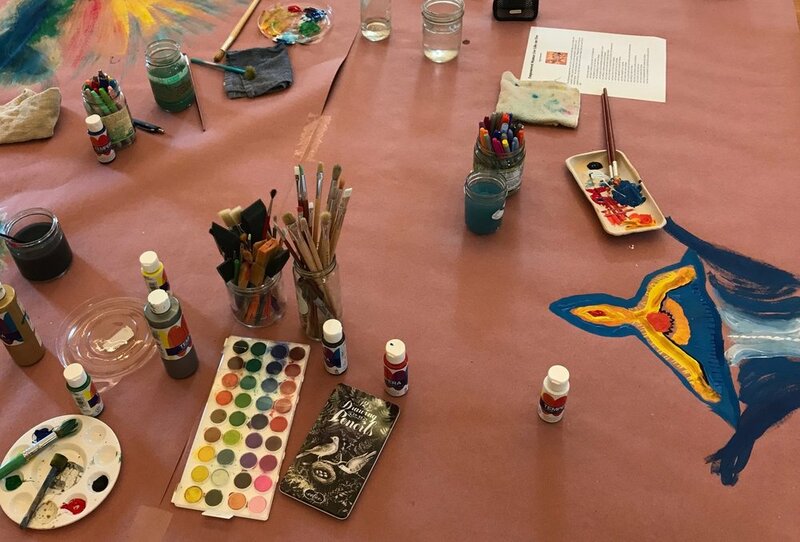 Together, we will use conscious breathing, guided visualization, intuitive painting, journaling and sharing to focus on what matters most to each of us. All creative materials are supplied. Co-sponsored by the Vineyard Haven Public Library. Call Emily 508-696-4211 x114 to reserve your spot or sign-up at the VHPL Children’s Desk.